Rendering of “The Club JAX” entrance. 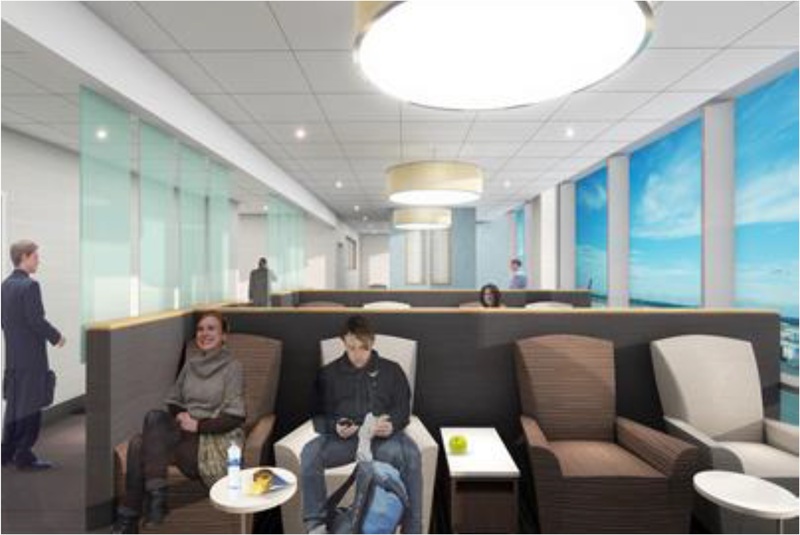 Travelers can soon have a major new amenity at Jacksonville International Airport (JAX): a premium lounge. Plano, Texas-based Airport Lounge Development Corporation (ALD) will invest a minimum of $1 million to develop, manage and operate the 2,726-square-foot facility, which will have seating for 49 guests. 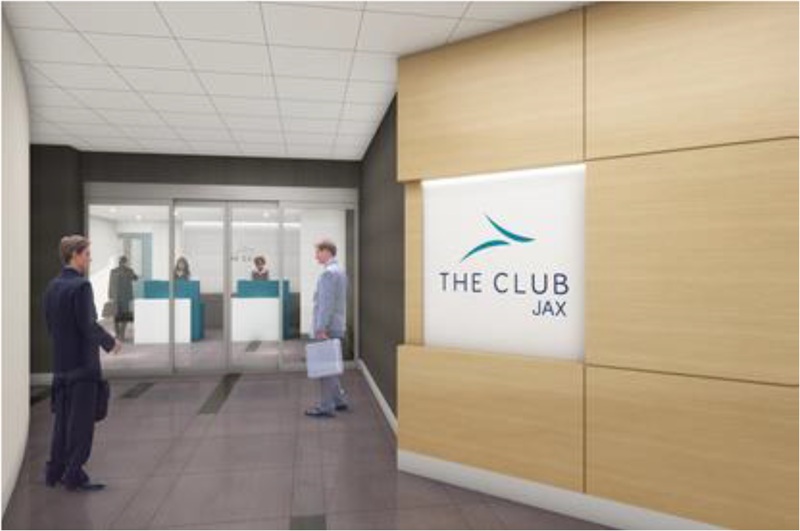 The Club JAX will offer hot and cold buffet featuring menus from local Jacksonville chefs and a variety of seating for relaxation, privacy, productivity and dining. The facility, which is expected to open in early 2019, will have two restrooms, including showers, and a children’s play area with age-appropriate video games, TV and books. The lounge will be located between the Food Court and Pet Service Relief area, where Concourse B was formally located. ALD is the largest U.S. independent shared-use lounge developer with a network of 18 airport lounges across 13 airports worldwide. Another rendering of The Club JAX.